The typical questions include are we paying enough, too much, and what’s the best plan for my business? I think that it really goes deeper than this. And like most issues, there are two sides, if not three, to every story. Never one to shy away from a controversial subject, this is a topic that comes up throughout my consulting engagements, so let’s get into it. Programming note: this may end up being a couple blog posts, as there is much to cover. 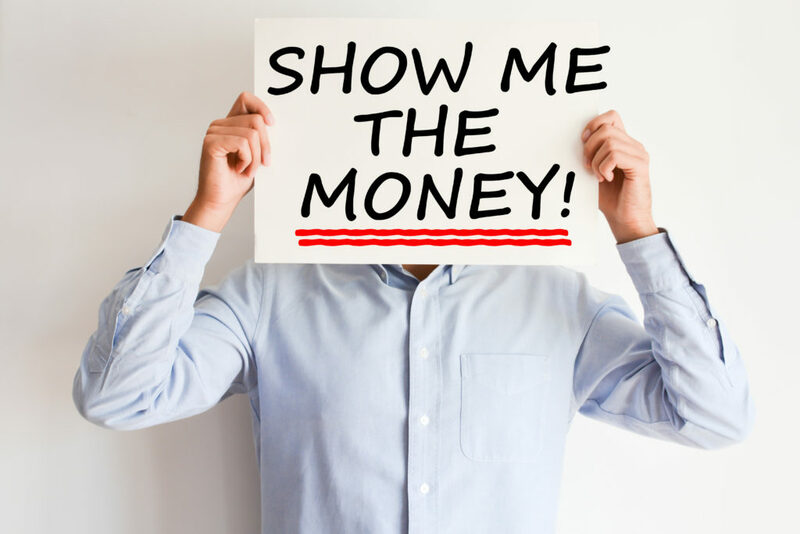 As you ask yourself these questions about sales compensation, what problems are you really trying to fix? Is business good but you just want to reduce your cost of sales? Are you trying to go after and win more program accounts or offer incentives for new business and exceeding targets? Is your sales plan aligned with the interests of the company and does it reward the sales team for reaching the company goals our just their goals? You can see that based on the problem or issue that you’re trying to tackle, the answer to your sales compensation questions can take several twists and turns. The questions continue as you decide what you want the sales team to focus on. I know, more sales right? But what kind of sales and from what kind of customers? Other than monthly sales, what will you measure? This can start with simple and get fairly complex. For example, here’s a sample taken from several different companies of the areas they measure and/or pay on: sales, value added, profit, pricing, number of new accounts, integrated sales, team sales, new products, growing the sales pipeline, how many new meetings, and prospecting activity. So, based on what you’re trying to accomplish or change, one or more of these might be appropriate to incorporate into your plan. Sales compensation administration is another area that is often overlooked. The previously mentioned categories may sound intriguing until you start thinking about how you’ll administer it on a timely basis. The nuts and bolts framework of sales compensation in our industry hasn’t really changed much over the years. The basics are either a salary plus commission or bonus, or a draw against commission. I still see a few though, that are straight commission. The majority base the compensation on either sales, value added, and/or profitability with spiffs for the supporting areas mentioned earlier. The best plan is the one that works for you – there’s no magic here. What works for one company may not be as effective for the company down the street. I still think that the focus should begin with the goal – what do you want the reps to focus on? Just go out and sell something that we can make money with, all the way to a focusing on winning business that has a higher likelihood of a lifetime value of $X. Two completely different strategies yet both can fill a pressroom and generate a lot of clicks. For example, if you have a specific go-to-market business plan that you want the reps to follow, then your plan should pay accordingly. If you’re looking to transform your business and you want the reps to change their focus, make sure that you’ve spelled all that out with them and please don’t just change the compensation plan, hoping that they’ll figure it out – it probably won’t end well. There is no perfect plan, sorry. There’s so much more to consider than what I’ve covered here, so more to follow in upcoming posts. There’s dealing with new business development teams, inside sales teams, legacy reps that might be on auto-pilot, and the younger, less experienced reps that will become your superstars of tomorrow – if you let them. Treat sales compensation seriously, don’t take anything for granted, and please don’t change it just to change it. Would love to hear what’s working for you and the steps you took to change the plan. Good luck and have fun.